The latest claim of impending Macs was made Monday by Japanese website Macotakara. Citing Chinese suppliers, Macotakara asserted that the 13- and 15-in. MacBook Pro models will feature the same USB-C port Apple introduced to considerable controversy in March 2015 with the MacBook. Macotakara also claimed that Apple would ditch the entry-level 11-in. 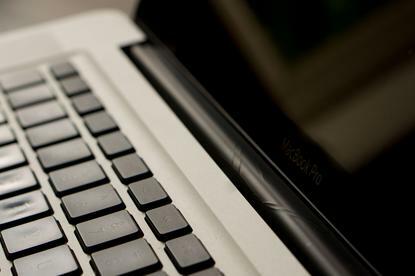 MacBook Air -- at $900, the company's least-expensive notebook. Analysts were uncertain whether Apple would roll out new notebooks with some fanfare -- perhaps by hosting a modest event at its California headquarters -- or simply issue a press release and post the new systems and prices on its online store. Apple has taken the second path most often in the past years, a sign of the Mac's diminished importance to the company's fortunes. The long stretches since Apple last revamped the MacBook Pro and MacBook Air -- 16 and 18 months, respectively -- has been raised as the primary reason for declining sales. Most analysts accepted that rationale. Likewise, they rejected the notion that Apple would soon retire from the personal computer market in lieu of recent assertions that a keyboard-equipped iPad Pro was, in fact, a suitable substitute. For the quarter ending Sept. 30, research firms IDC and Gartner pegged Mac shipments at 5 million and 4.9 million, respectively, for year-over-year contractions of 13% and 13.4%. If those estimates turn out accurate, Apple will have recorded Mac sale shrinkage four straight quarters, equaling the span in 2012 and 2013, currently the company's longest sales slump. Near the end of that downturn, Apple lowered MacBook Pro prices by as much as 13%, a move one analyst said was necessary to bring the notebook more in line with the overall market prices. It would not be surprising if Apple did something similar with pricing to bring the line out of its doldrums.